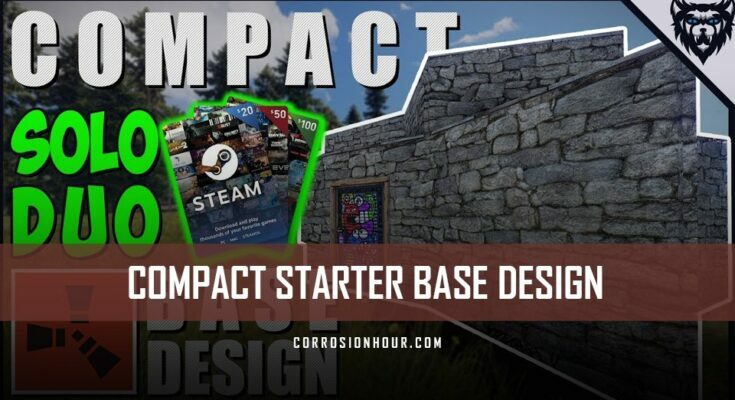 This compact solo starter base design, created by our partner xRaW, is a starter-to-main setup. It’s been designed in such a way that the base can be built in stages and converted to the main base when ready. The first stage of this starter base design requires few resources. This allows players to rapidly set up and maintains a small footprint until the resources needed to expand and properly honeycomb the base have been acquired. 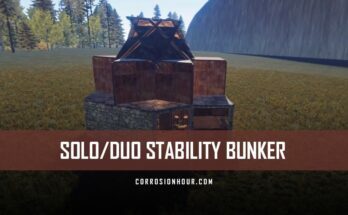 In addition to this, this RUST base design can be built with no blueprints. This makes planning a base much easier and lets players focus on other, more important areas. So jumping into the base here, we have just a few sheet metal doors to get to the middle. Coming through here here is the first room of the base. There’s a research bench with a chest. If you pick up the research bench and swap it with the repair bench in the box you can swap it with that instead. Coming into here is the starter section of your base, which is a triangle with two square foundations. In this loot room there is a work bench, TC, two furnaces, two large boxes, small box and a camp fire. On this side there’s another loot room, which has 6 small boxes, 2 large boxes. The starter section of this base will cost only 2000 stone. 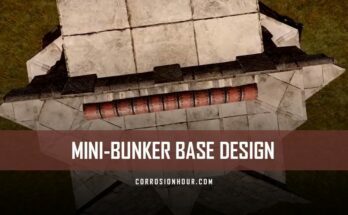 If you do enjoy the build, be sure to like the video and subscribe for more content and let me know what kind of bases you want in the description.